46 A Senff RoadWashington,CT 06793U.S.A. 1990 Route 83Pine Plains,NY 12567U.S.A. 259 East Shore RoadMorris,CT 06763U.S.A. 1271 Fairfield Beach RoadFairfield,CT 06824U.S.A. 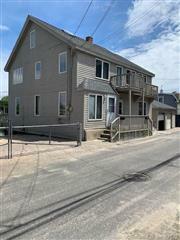 2142 Fairfield Beach RoadFairfield,CT 06824U.S.A. 2144 Fairfield Beach RoadFairfield,CT 06824U.S.A. 91 Lake DriveNew Fairfield,CT 06812U.S.A. 360-364 Laurel RoadNew Canaan,CT 06840U.S.A.